Whiteheads/Blackheads: Also known as comedones, are non-inflammatory and appear more on the face and shoulders. As long as they remain uninfected, they are unlikely to lead to scarring. 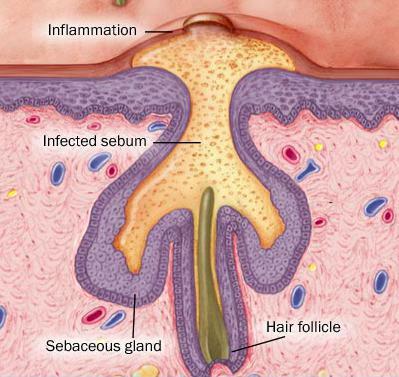 Red Pustules or Papules: Inflamed pores that fill with pus. These can lead to scarring.